Premium Deluxe Rooms are the large space, wonderful balcony or Lake View. 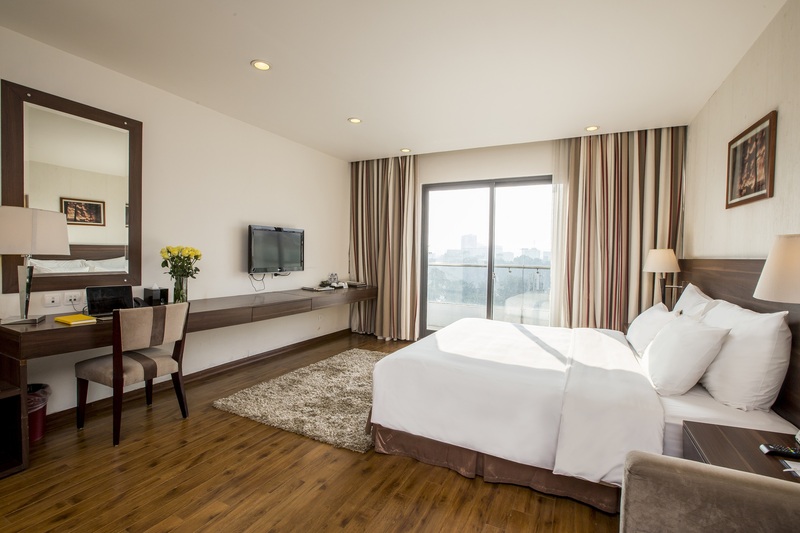 Located on 8th & 9th floors, Lake View Suite features panoramic view of the city & historic Hoan Kiem Lake. It is luxuriously accommodated and conveniently furnished to suit the needs of both business and leisure travelers.